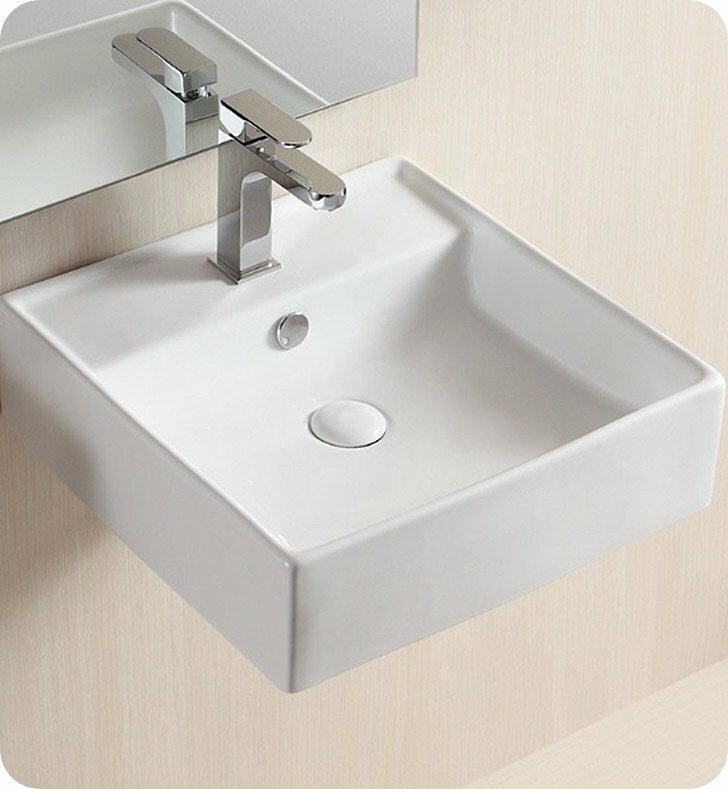 Wall mounted or vessel square bathroom sink made of porcelain with a white finish. Designed with a thick back rim for a single faucet hole and space for bathroom accessories. Basin has a flat base and comes standard with overflow. Made by Caracalla in Italy. Dimensions: D 17 5/8" x W 18 1/8" x H 5 5/8"